Apple first introduced Screen Time this summer as one of the key feature additions on iOS 12. By adding limits to specific apps, or your phone as a whole, Apple attempted to add a digital dose of self-control for those who need it most. People raved about the feature upon first hearing the news. 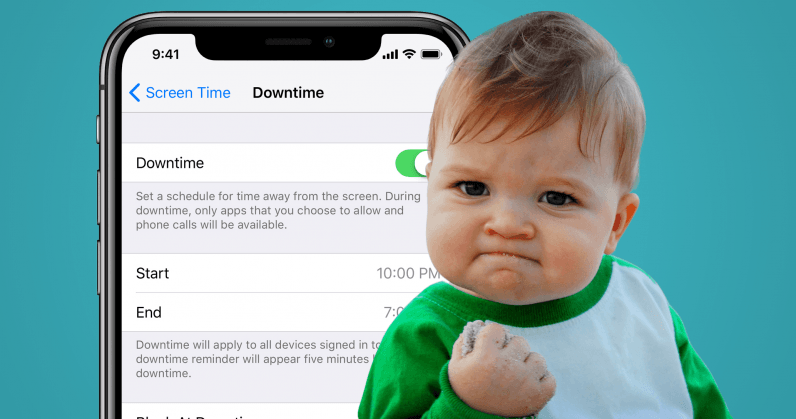 For the first time on an Apple device, parents could set granular controls that monitor activity, limit specific apps to certain periods of the day (or just a general time limit), and even shut the device down, almost entirely, during bed time. As ideas go, it wasn’t a bad one. Having some control of kids’ (or our own) device usage should be baked into every device, at least as far as I’m concerned. On the execution side, however, the idea isn’t holding up quite as well as Apple intended. A Reddit thread with nearly 9,000 upvotes features a number of crafty kids who’ve bypassed the digital nanny features. One father revealed one of the hacks. His son, a seven-year-old, deletes the games he’s been locked out of and then re-downloads it from the App Store. With iCloud, he doesn’t miss a beat, as all of his games are stored on a server waiting for him to resume play. Apple, unfortunately, overlooked this clever hack entirely. Once the game is re-downloaded, it starts the clock over again for the day. This could, however, be thwarted by setting Install Apps to Not Allowed within Screen Time’s settings. Another child uses the YouTube iMessage App to send himself videos. While YouTube is blocked, he’s free to view the videos within Apple‘s own messaging app. Maybe it’s time to block iMessage? One parent, on Apple’s support forum, asked how to outsmart a child who was resetting his phone‘s time and date to trick the device into thinking it was a new day. There doesn’t seem to be a fix for this one, at least based on the responses in the forum post. In this type of cat and mouse game, parents should realize they’re fighting a losing battle. For each fix, it’s only a matter of time before determined children find a way to undo it. It’s a battle we can’t win, short of physically removing the device from their possession. I work in the cyber security industry, and I can tell you over the years, I’ve seen kids – including my own – do things that first-world government teams and crack white hat groups could not have done any better. Give up now. Take their phones. Put them in a box. Sit on the box and guard it. Maybe buy a Faraday bag or something. Watch them cry and talk about how they’ll be social outcasts and their friends will mock them, or moan about how they need it for school to check the Facebook page their teacher posts assignments to. Turn a deaf ear. Know that you are helping them just like our parents were when they made us eat vegetables (which you know, are actually pretty darned good – thanks, Mom).